Directions: From Denver take I-70 W and 58 West to Golden. 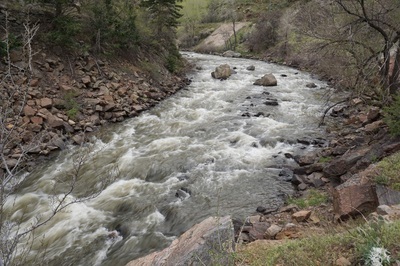 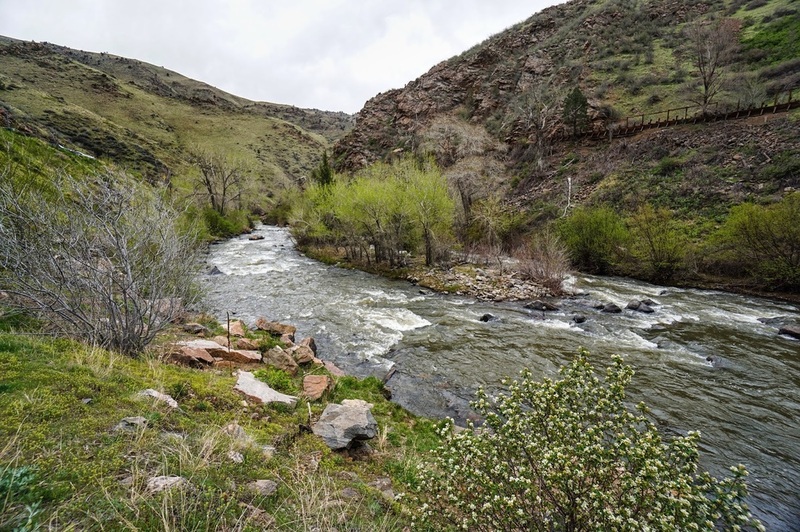 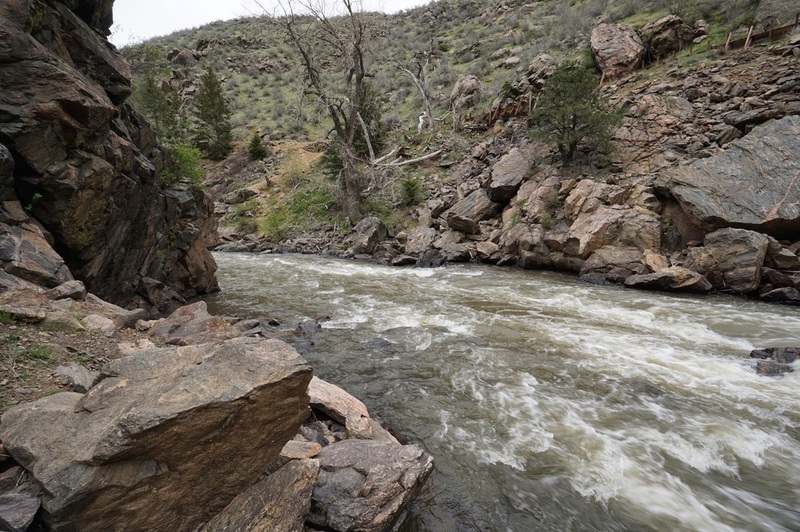 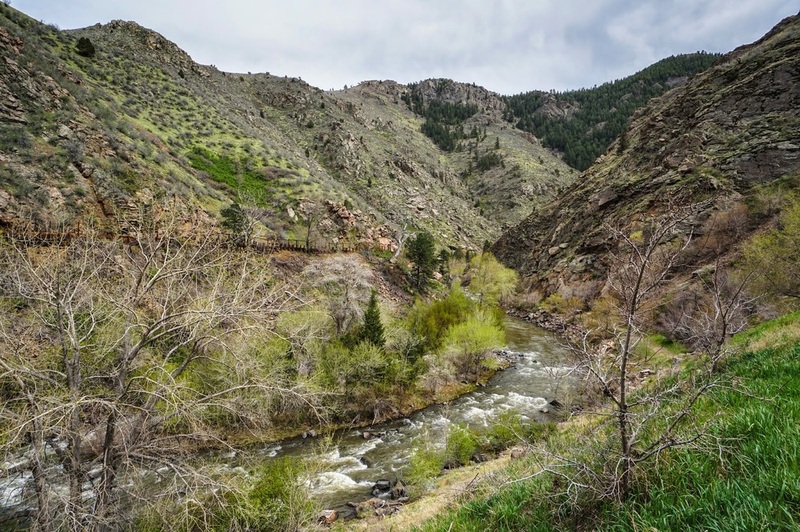 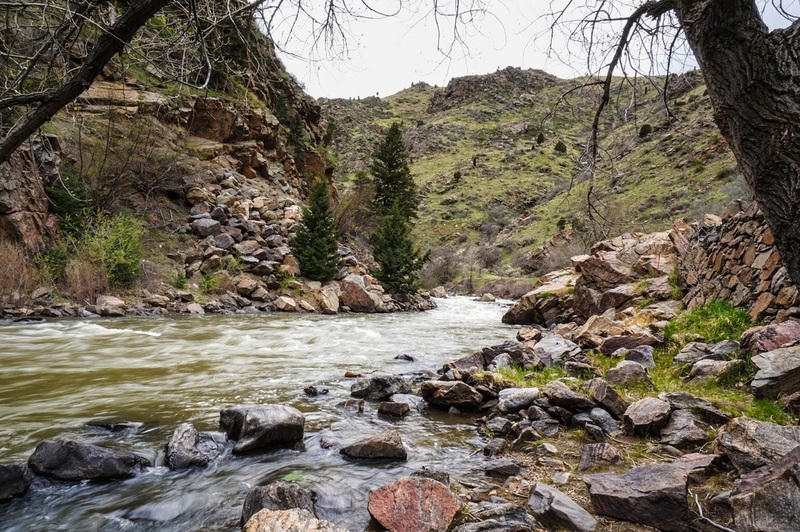 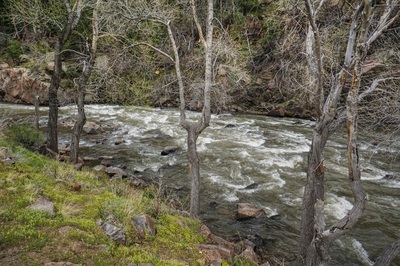 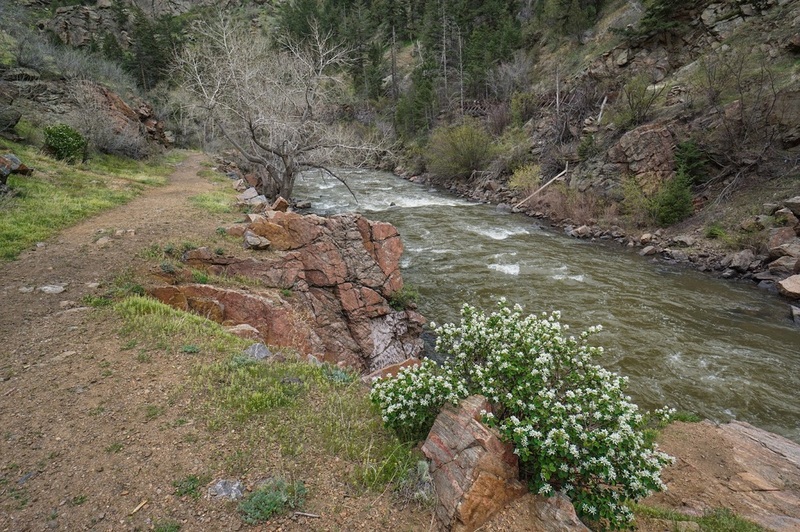 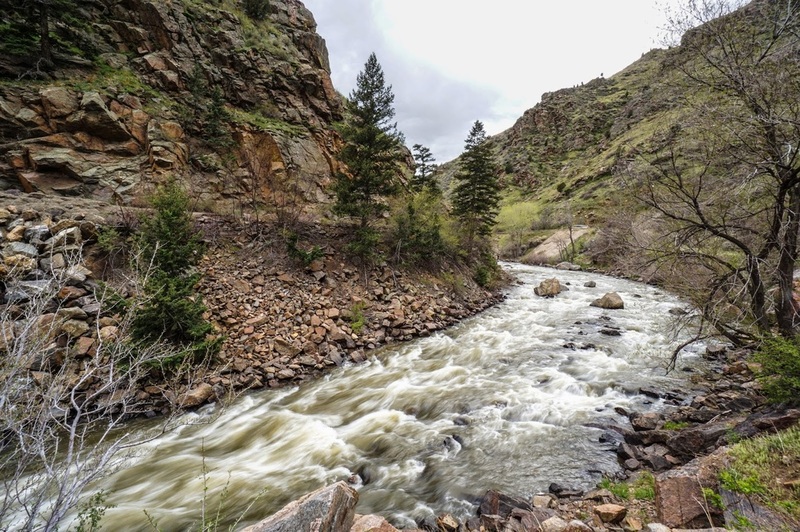 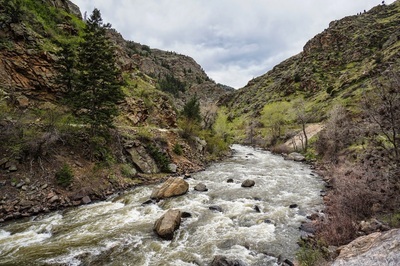 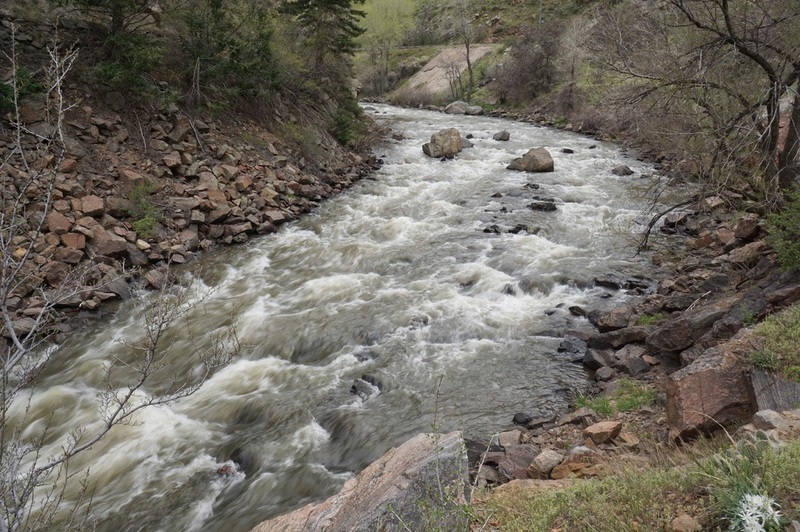 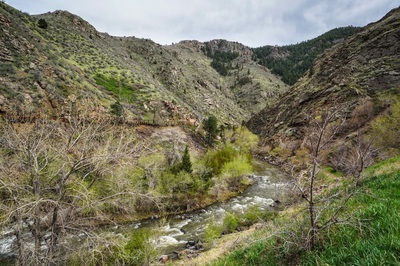 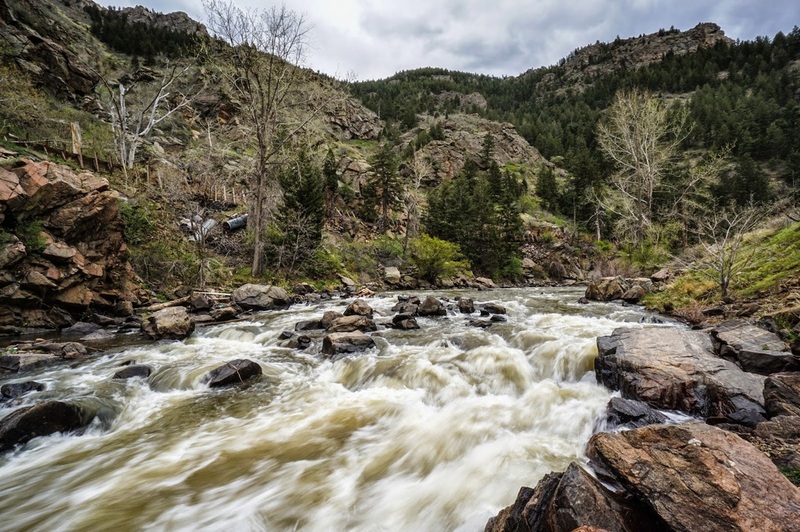 At the intersection of 58 and 93, head west into Clear Creek Canyon. 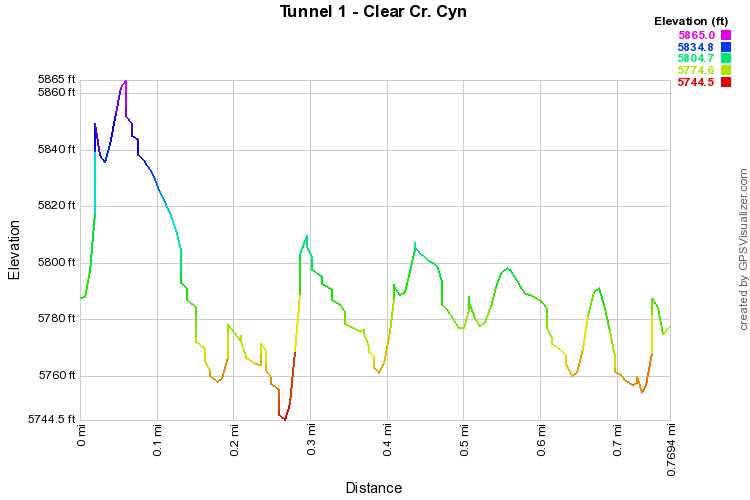 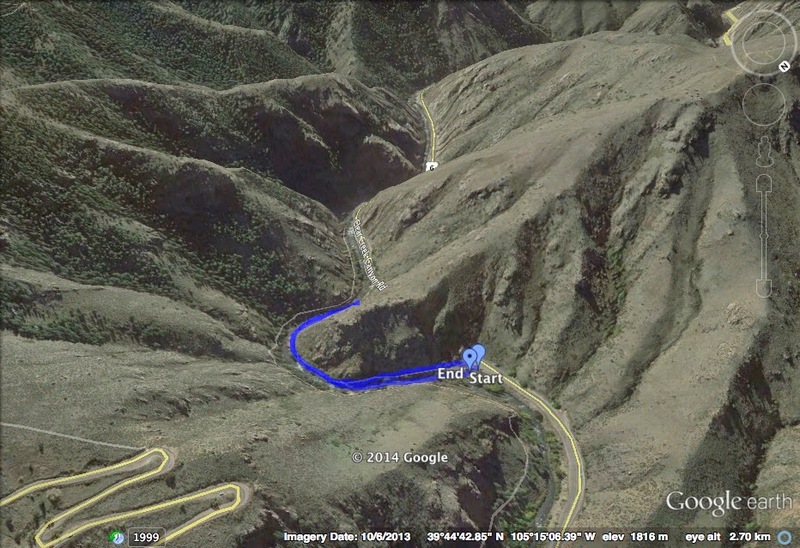 The parking area is to the left (south) of Tunnel #1, turn off the road (VERY CAREFULLY!!) to the parking area. 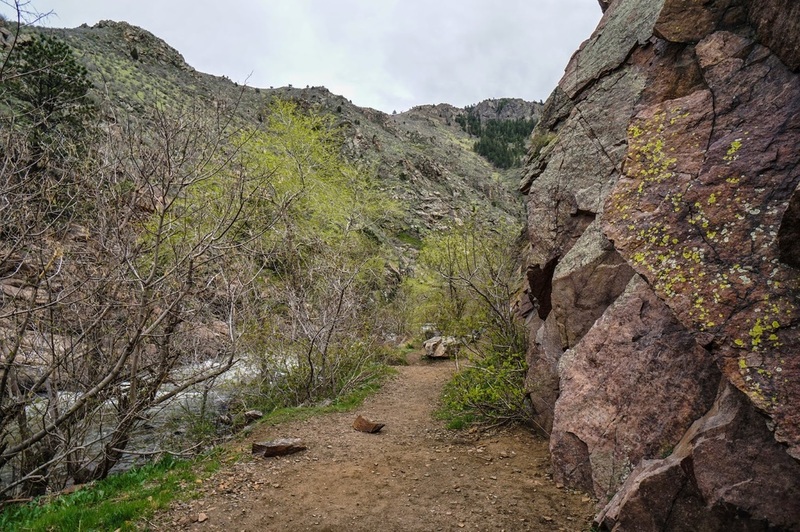 This trail is popular for hiking, photography, rock climbing, and partying.... You will see old fire rings and beer cans from time to time. 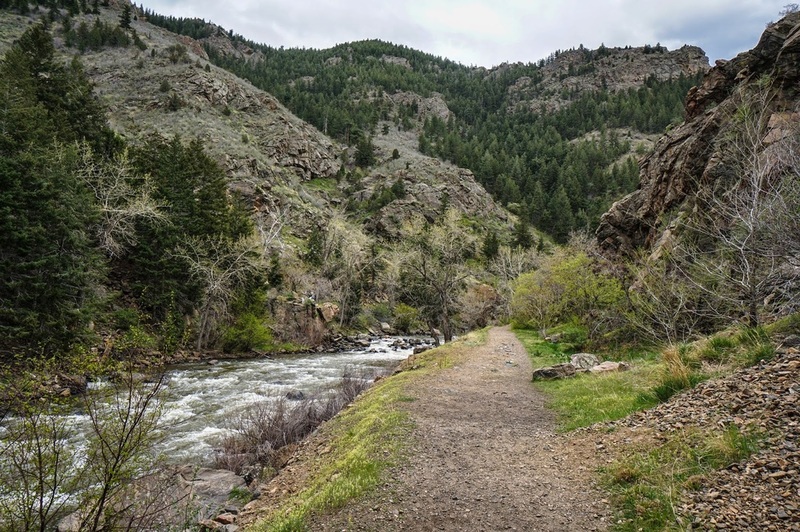 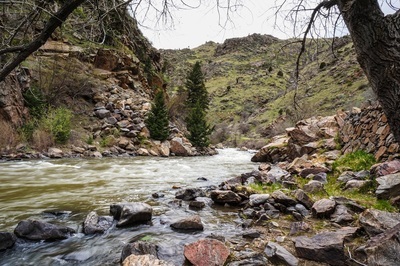 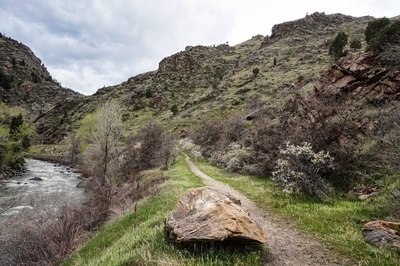 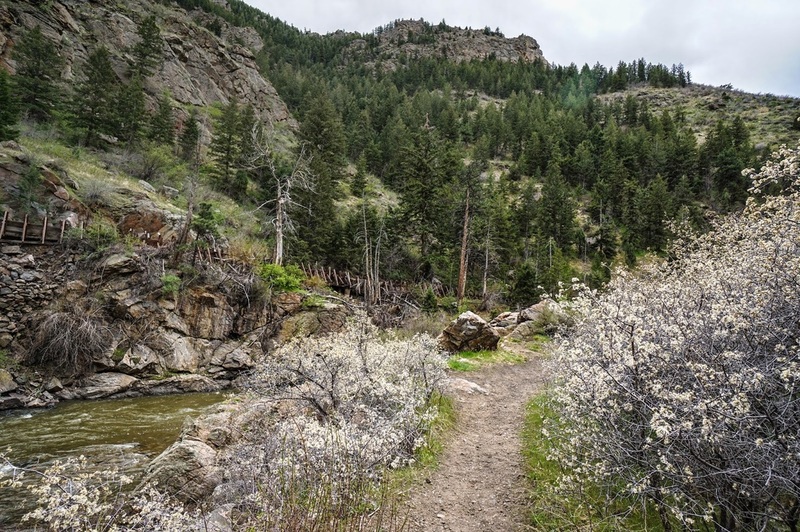 However, Clear Creek Canyon is an amazing canyon and this short trail gives you a rare opportunity to walk through a portion of it. The trail descends from the parking area and follows the bend in the creek to the other end of Tunnel #1. 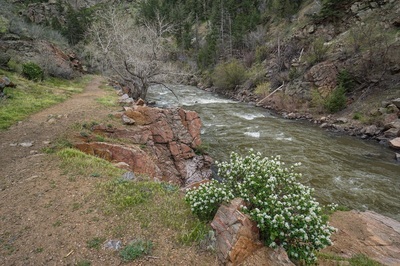 There are various small side trails that take you down to the water. 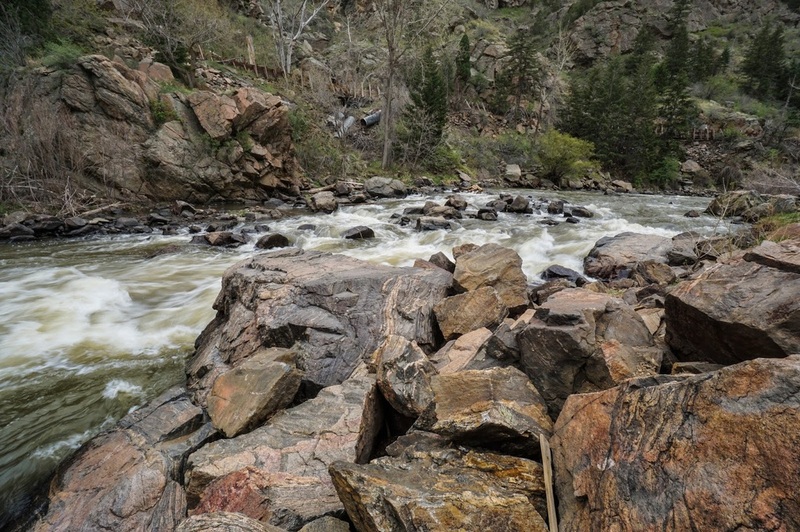 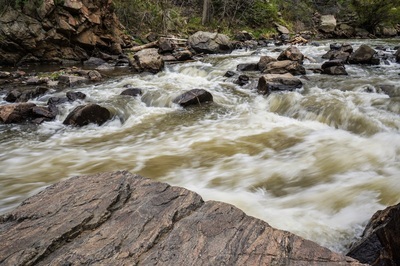 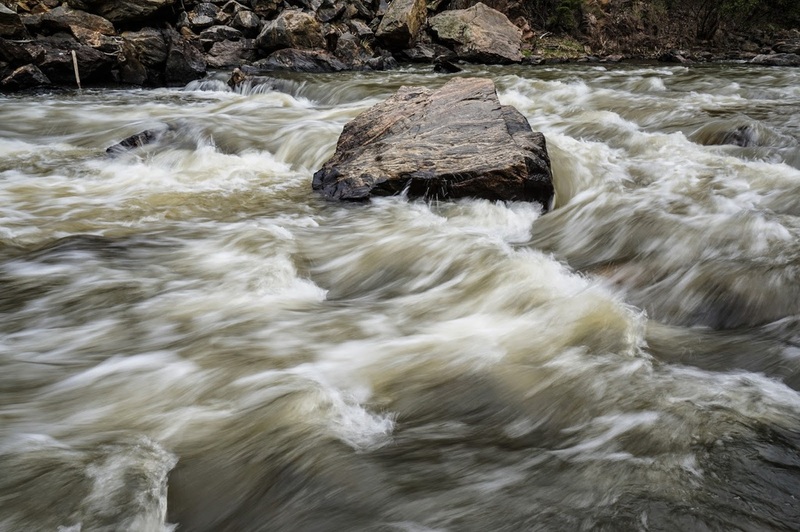 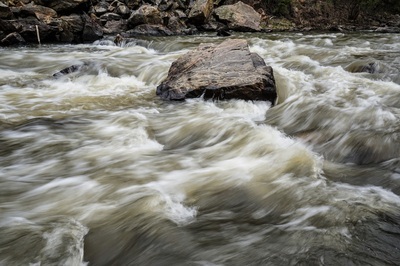 The flow of clear creek is impressive here as are the towering canyon walls, making this short easy hike a rare gem.